We verify tournaments’ numbers, profit and rake back using an audit. If you join the pool on the 1st of January and play first time on the 5th of January, your audit will start from the 5th of January even if you order it from the first day. Even if you used your cashier on the 25th of January and requested the audit by 30st of January, it will finish on the 25th anyway. In both cases, we can not find out if you did not play or you made a mistake ordering the report. Accordingly, the audit must start from the day when you had played last time before you joined the pool. If you are not a new player, you can cover one day before the pool’s start. The audit must finish on the first day of the following pool. If the current pool ends on the 30th of January, following morning, please do something with your cashier and order the audit including the 31st of January. Example: You had played last time the 15th of December, had joined the pool from 1st of January, had not played after the 25th of January, so the 31st of January the time to verify results came. You should make something with your cashier to form a record in the audit and order the audit from 15st of December to 31st of January. If you use your local language as the main for PokerStars’ emails, please change it to English (settings => global =>language =>E-MAIL IN English). Then Tools => Playing History Audit. Choose dates and password. 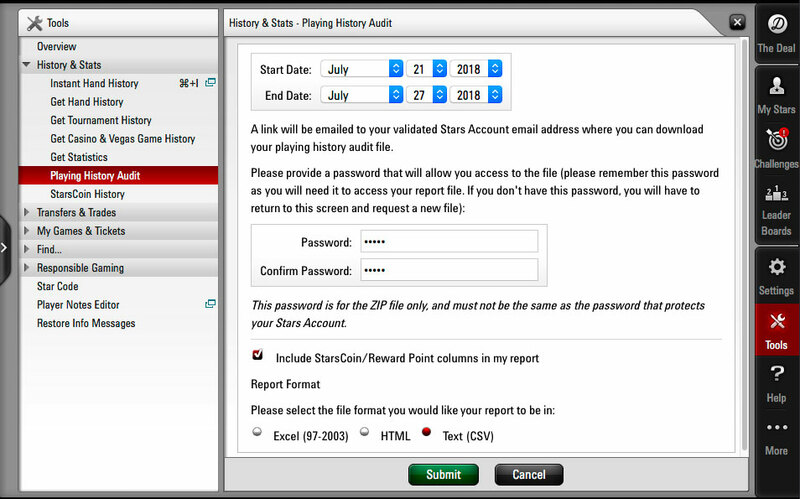 Click on the checkbox near Include StarsCoin/VPP columns in my report. Select Text (CSV). The link will come to your mailbox. You can do it using HyperTracker. 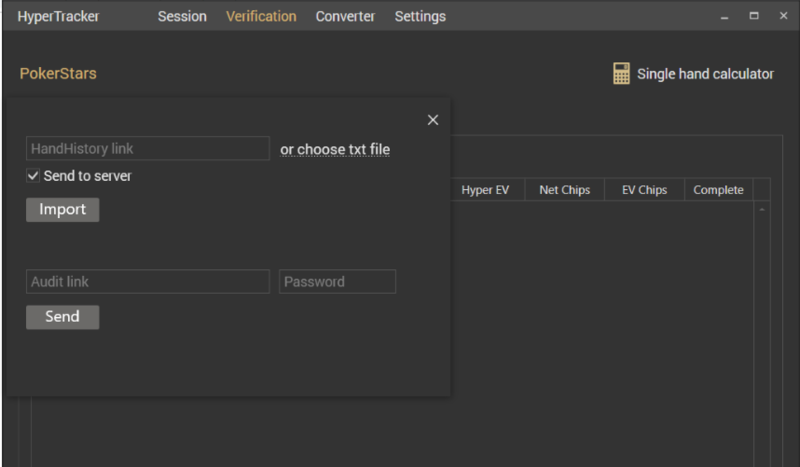 Open the Verification tab, click PokerStars and past the link and the password which you set in the second field. Press Send. If tracker shows an error, please, check your audit before sending an email to support@hyperschool.ru There have been some situations when a player made a mistake and ordered HTML version instead of CSV.